This EA will entry when you break out the box set. 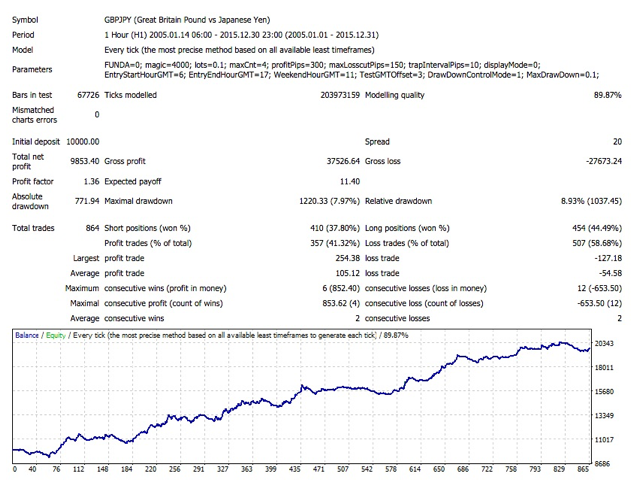 This strategy, using the historical data of 11 years, has been optimized for the currency of the GBPJPY and EURJPY. The input parameters are optimized for H1. FUNDA - buying and selling if "0", buying only if "1" and selling only if "-1". magic - set magic number. lots - set the number of lots. 0.1 means ten thousand currency. maxCnt - set the maximum number of position. 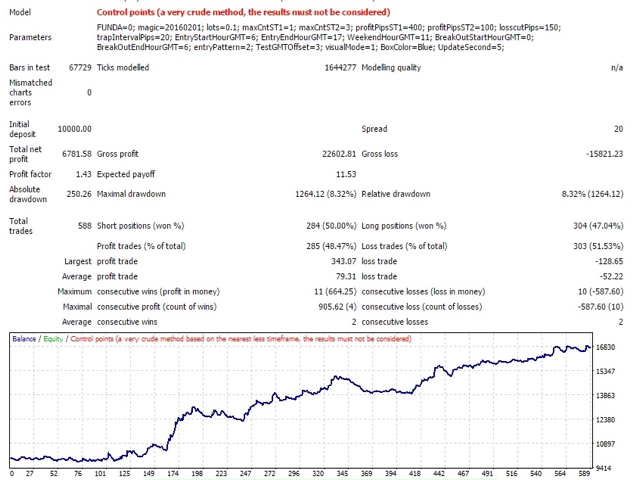 profitPips - set profit in pips. losscutPips - set losscut in pips. In some cases to be closed by the internal logic. trapIntervalPips - set the stoplevel larger pips of securities companies. EntryStartHourGMT - set trade start time. EntryEndHourGMT - set trade end time. WeekendHourGMT - set time to close on the weekend. BreakOutStartHourGMT - set start time of the box. 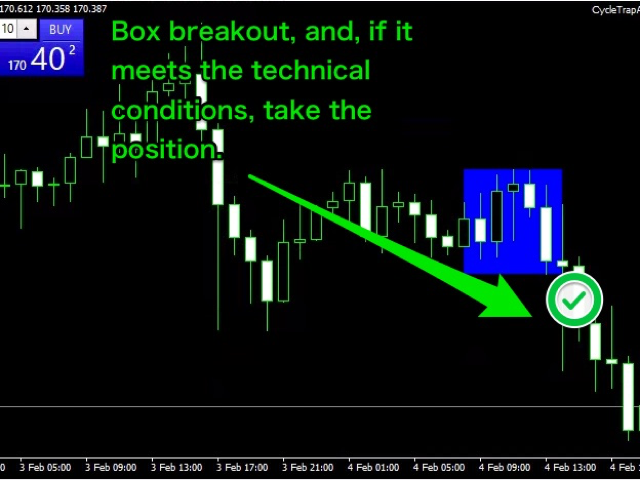 BreakOutEndHourGMT - set end time of the box. entryPattern - If 1, no technical filter, case 2, the technical filter. visualMode - If you want to chart display box, 1. If you do not want to display, 0. TestGMTOffset - If you want to back test, it is necessary to set the GMTOffset of historical data. For example, in the case of the FXDD of historical data, 3. BoxColor - set box color. The maximum number of positions became 2. The second one takes the reverse position.